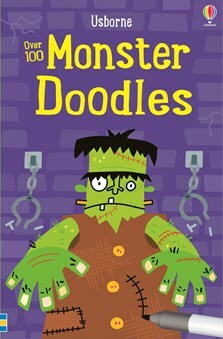 A spooky write-in activity book crammed with monsters to doodle and details to add to bring them to life. Doodlers can draw monster faces on silhouettes, decorate a tall monster with spots and stripes or draw aliens from another planet. This pocket-sized book is ideal for long journeys, rainy days and other quiet times.